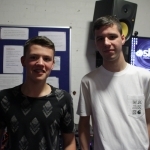 shmuFM's Rave Relax show turns five this week. To mark the occasion Alan is hosting a very special show on Friday the 7th of October from 10-12pm and is looking for the listeners to get involved. 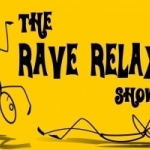 All you have to do is contact the show here with your favourite track to relax to and why and Alan will play it on the show. Things have not been looking not bad for Aberdeen based DJ, Evan Duthie. It’s hard to believe that almost three years ago Dave Ironside presented his first Breakfast Show on a wet Thursday morning in October 2013 that now we are approaching show number 300. Dave said: “Presenting that first show was nerve racking to be honest but I had got good advice before hand from experienced presenters like Colin Digby and Kojo who really helped me. 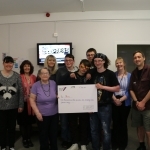 Students from the Learning Opportunities Department at North East Scotland College enjoyed their slot on Tilly Talks on shmuFM today to talk about their fundraising efforts. Earlier on this year the group of students hosted the charity shop on George Street to raise money for shmu. 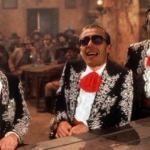 Although it's unlucky for some the shmuFM Sports Show will host a very inspiring guest on Friday the 13th of May. 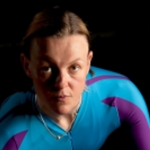 PC Fiona Duncan took up the sport of cycling in 2003. In 2008 she was part of the Great Britain's Police Women’s Team who took silver at the European Championships. Joining The Ayatollah on the Breakfast show this week was Sara Paterson. 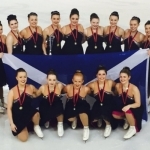 As head coach of Zariba an Aberdeen synchronised skating team, she takes them to Budapest Hungary to compete in the World Championships. Picked not to represent Aberdeen or Scotland but to represent Great Britain in what is the pinnacle of the teams career. Brutha Voodoo's Playlist Obscura is celebrating its second birthday on Tuesday the 16th of February. 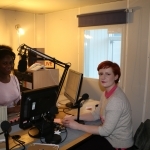 This week saw the first live broadcast from Mimi, who is a new volunteer at shmuFM. 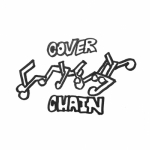 Mimi was introduced to shmuFM and the world of radio through Mike Melvin as she has appeared as a guest on “So Why Don’t You?” previously. 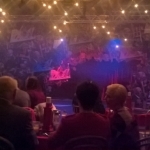 shmuFM's Culture Club presenter, Angela Joss, was at the opening night at the Kit Kat Club aka The Aberdeen Arts Centre Theatre, to watch "Cabaret". It's our birthday... Celebrate the cheese! 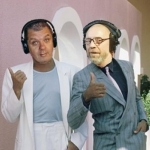 The Ultimate 80s celebrates their second birthday on January the 23rd and presenters Dave Ironside and Colin Banks have a cheese filled show especially for you.